Hunter Douglas Blinds offer a wide selection of materials, styles, textures and colors for our horizontal/venetian and vertical blinds. Our innovative features also elevate our blinds above other brands, from the “bounce back” construction of our aluminum metal blinds to the contoured headrails on our verticals. 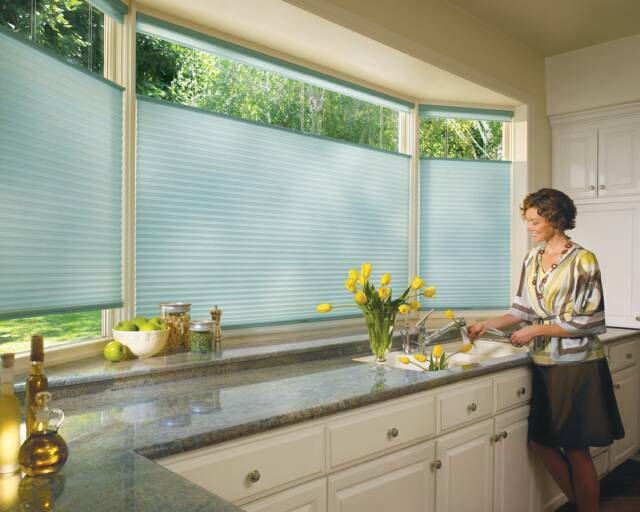 Hunter Douglas Shades have come a long way since the days of the roller. 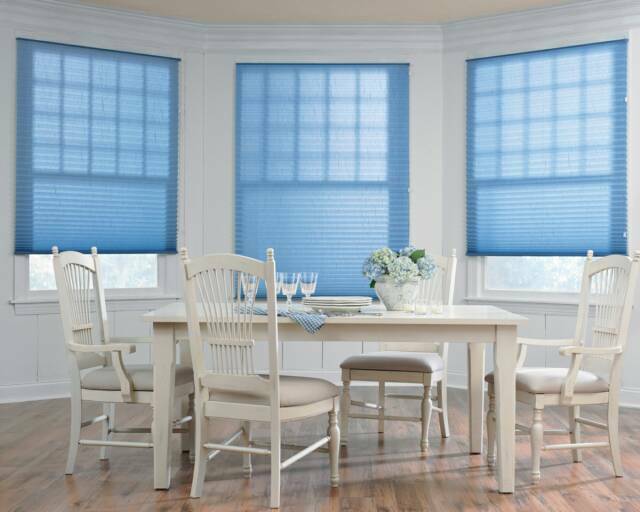 Our extensive selection includes our highly energy efficient honeycomb/cellular shades, our elegant Roman soft shades and our uniquely textured woven wood natural shades. 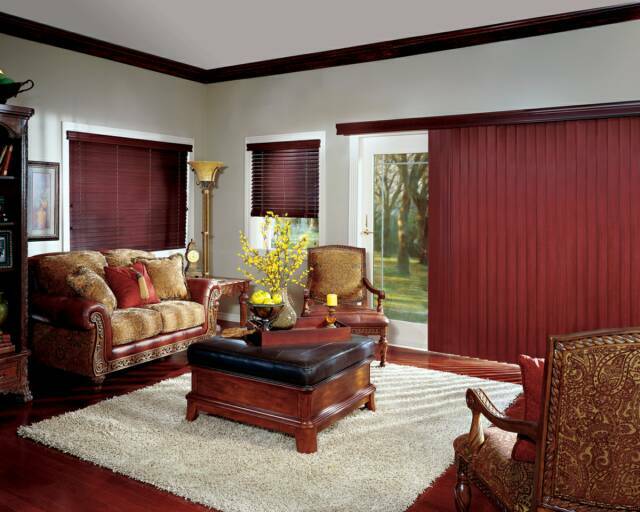 Hunter Douglas Shutters are available in premium hardwood and composite poly-satin compounds. 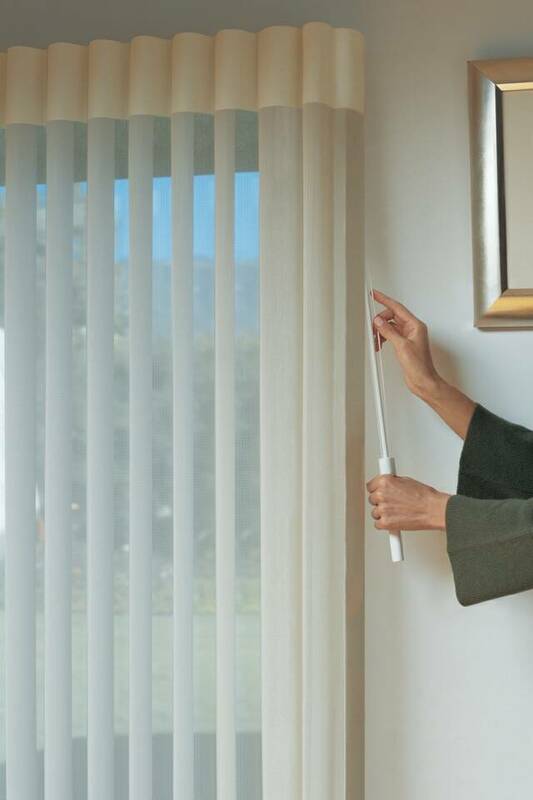 The former offers an enduring, custom-crafted, classic style, the latter a solution ideal for windows exposed to high heat, humidity and other extreme climate conditions. 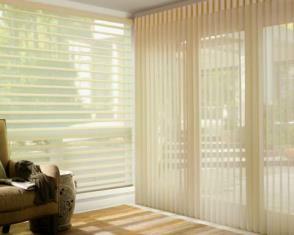 Hunter Douglas Shadings, sheers and louvers are made with a wide selection of soft fabrics, including opaque and translucent materials. 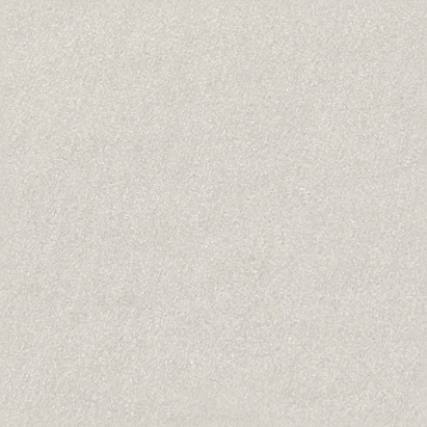 Our offering features a range of different designs—some function more like a shutter, others more like a shade—and all provide the elegance of a drapery.